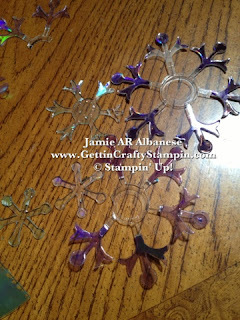 Getting Crafty with Jamie: There is a Snowflake in my Window! There is a Snowflake in my Window! 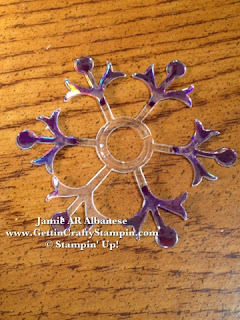 Starting with the Snowflakes from the DVD's I used to create Tree Earrings (See HERE for that Link) I wanted to Re-Purpose the 'scrap' snowflakes and their iridescent wonder! 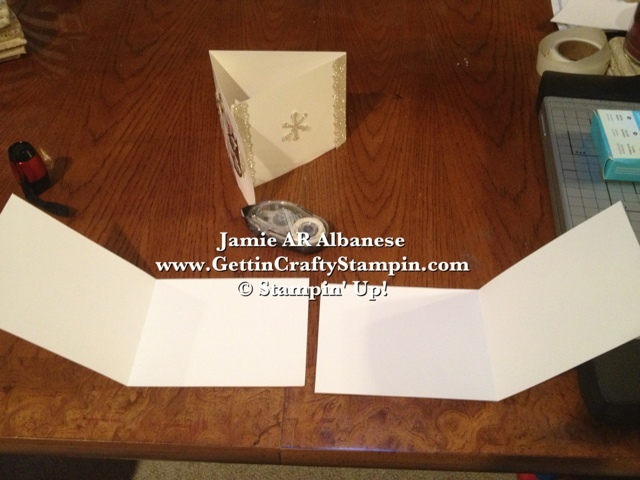 Cutting a Whisper White Card Stock in 1/2 at the 4-1/4" mark I then folded them in 1/2 - each of the two. 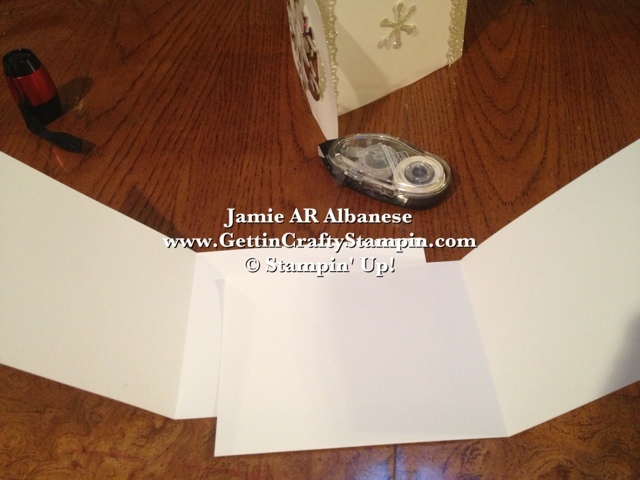 Layering them so they became a 3 flap card I used SNAIL Adhesive to seal them. 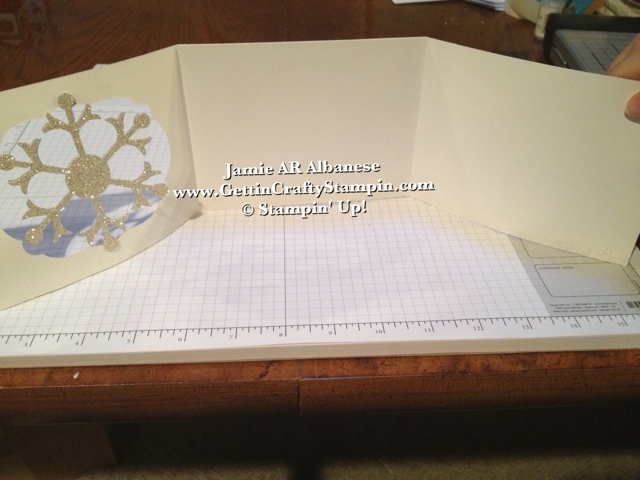 Using the Labels Collection Framelits from the Idea Book I cut out the second largest frame in the set on the front of one of the flaps. 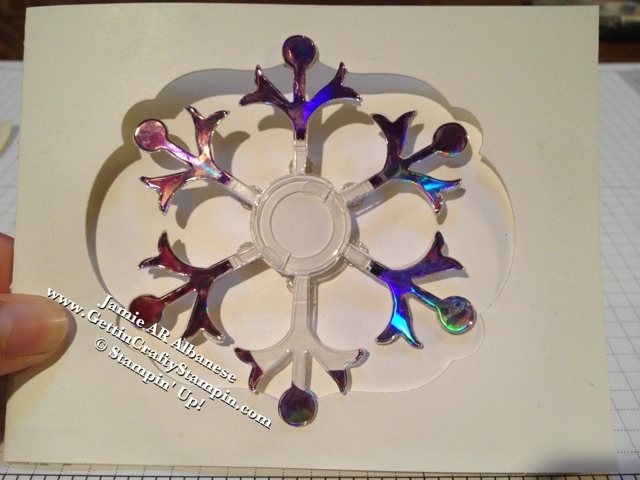 With the Snow Flurries Bigz die I had the cut Large Snowflake in the Iridescent DVD... 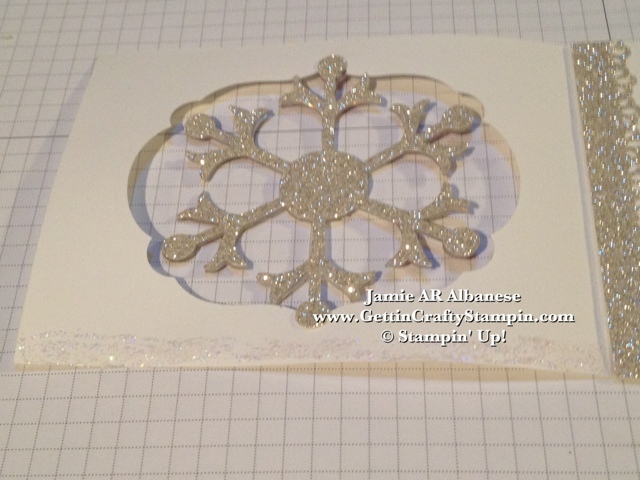 I cut the smallest snowflake and the largest out of the Silver Glimmer Paper. 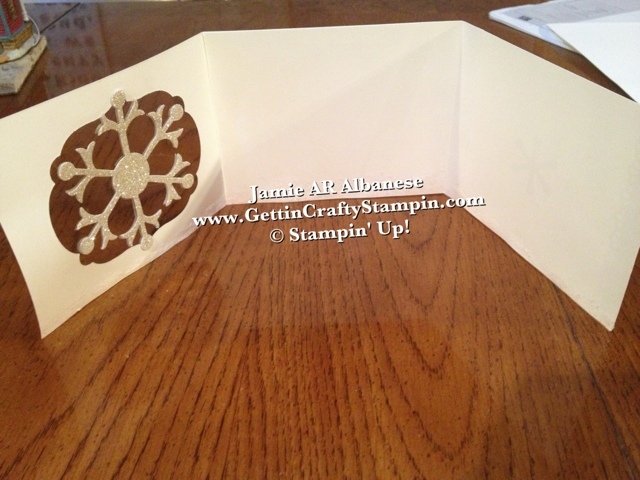 Here with Mini Glue Dots I adhered them back to back in the frame! You can barely tell that it's backed up to another snowflake. 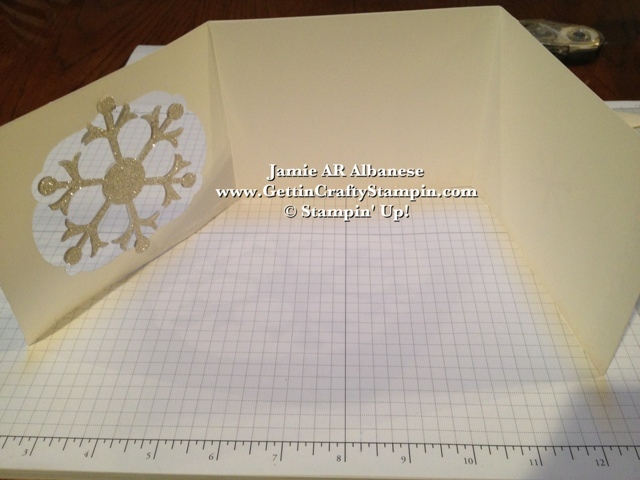 The DVD image is fragile - the extra support with the glue dot and other snowflake will help it to stay where it needs to be. I wanted to have the inside have tons of space to write a note... 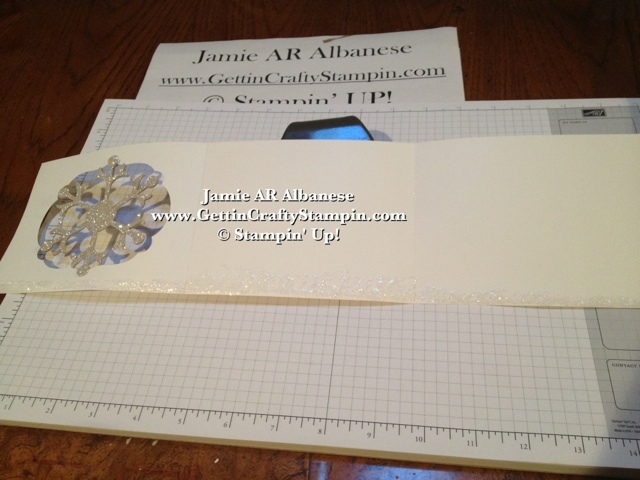 I'm planning to send this off to my Uncle and Aunt in Indiana and wanted to leave room to write..
With the Dazzling Details sparkle across the inside bottom, there are surprises at every corner! 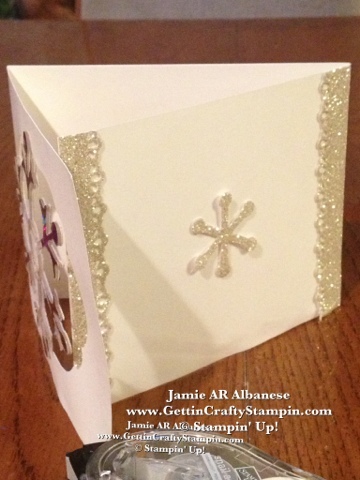 From the Outside... this snowflake is just lovely.. SURPRISE!!! 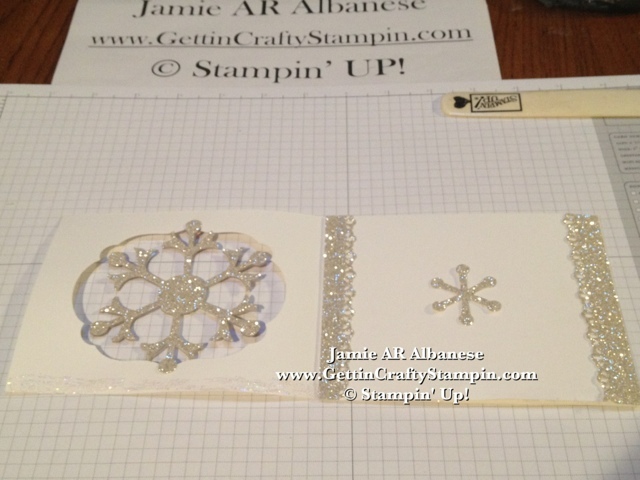 When you open it you see these Silver Glimmer Snow Flakes and edges.. 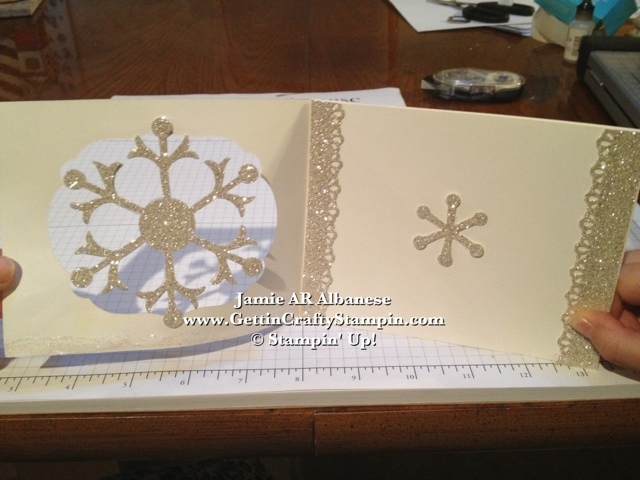 Dazzling Details Glitter Adhesive added bling and 'fallen snow' to the bottom of all three flaps inside the card... another sweet surprise! Plenty Room to Write... with our large family, there is a ton to write about!! Using the Paper effectively, this lovely Tri-Fold card will go into a standard envelope! I love that! What a beautiful card and please post to our new blogspot. Thanks for playing at LNS. Absolutely beautiful. Thanks for sharing and joining the LNS challenge! Love it! Such a fun little surprise for this card. 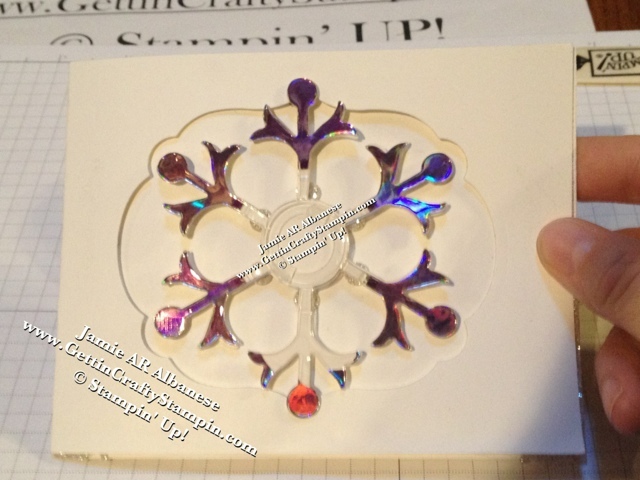 Love all the glitz and glimmer! 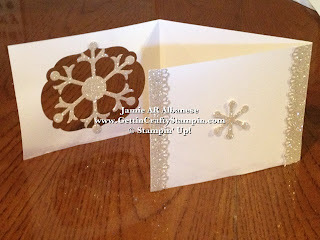 Thanks so much for playing along with us on the LNS challenge blog this week! Stunning - what an absolutely wonderful project!! What a beautiful card! 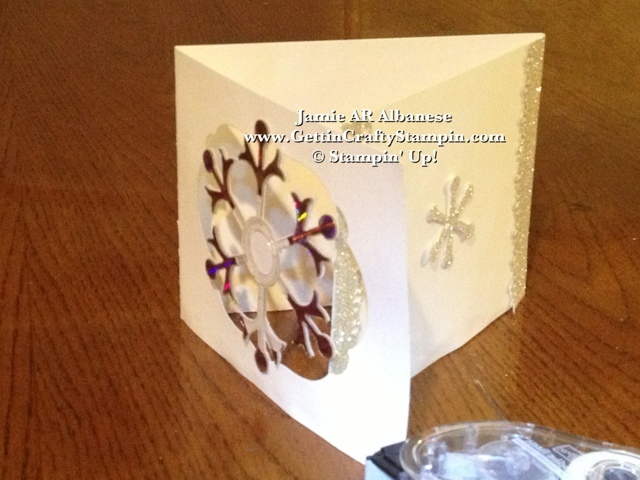 Love the dvd/cd snowflake as well as all the glitter inside. Thanks for playing with us again this week at LNS.